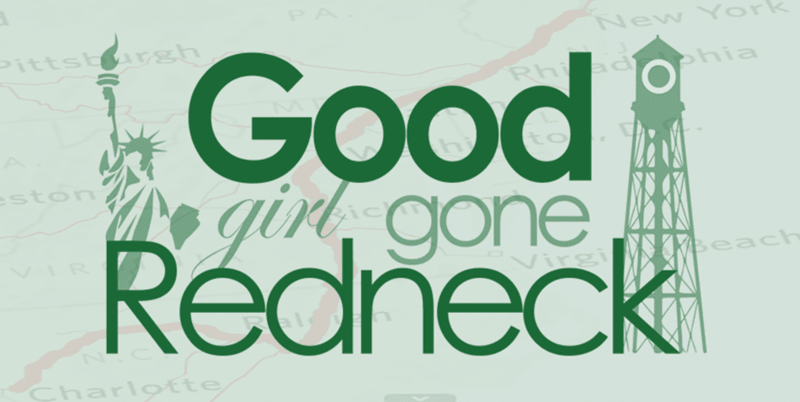 Good Girl Gone Redneck: Tired of cooking? So, my question is, have you been to Moe's lately? You'll want to head over soon and check out the new Chimichurri burrito. 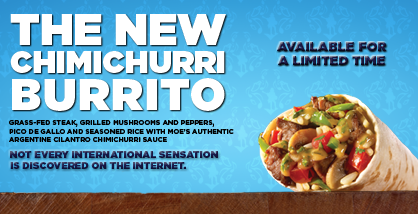 Moe's new Chimichurri burrito is available for a limited time and is made up of grass-fed steak, grilled mushrooms and peppers, pico de gallo and seasoned rice. Smother that with their new cilantro chimicurri sauce and I have a feeling you'll quickly find yourself enjoying a meal that's popping with flavor. Stay tuned, you might be a winner and be able to get your own Chimichurri Burrito FREE! 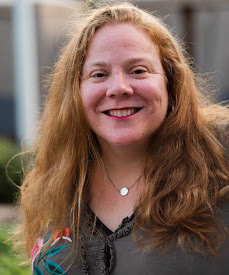 I'll have a few gift cards up for grabs at the end of this post. Besides their variety and new menu items, something I really love about Moe's is that I can adjust my meal to make healthy choices. I can up the tomatoes and pico and ask for less or no cheese. And if I'm trying to be really proactive I can head to their website before I go and check out Moe's menu's nutritional information. I'm not always that on the ball, but I like that I can be - or I can bring up their website on my smartphone and do it before I order. As we head into the new year and many of us are looking at a fresh start, Moe's can be a great place to head to grab a quick and healthy bite! Now - for the fun part - I've got a few $5 gift cards up for grabs, so enter today and you might win one. Jax loves the plain ol' quesadilla, and I love the burrito bowls. We eat there pretty regularly! I love just about anything there! we don't go often because we do most of our meals at home (being married to a cook, how could we not?) but I looooooove chimmichurri! I actually went there today! I LOVE it! I usually get the burrito bowl with chicken, jalapenos, black beans, cilantro, pico de gallo, sour cream, guacamole and their queso dip which is what they are known for! 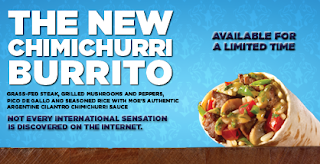 The grilled mushrooms and peppers is definitely what I feel is the best part about the new burrito! !